Art, artisans, local spirit and wine. These walking tours explore local areas with locals and ease you into the evening. This walking tour explores medieval alleyways with artisans’ workshops, renaissance palaces, hidden churches with artistic delights and squares peppered with local lore, finishing at a local wine bar for degustation. 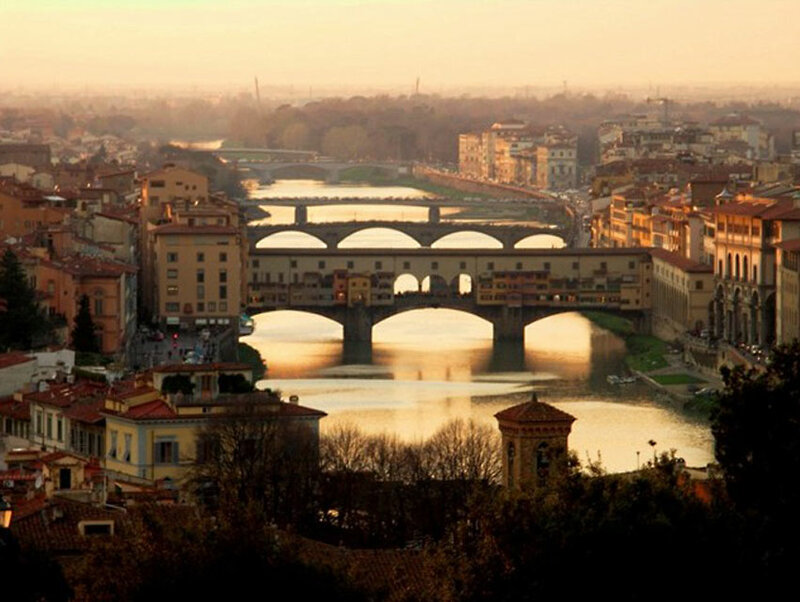 Tour encompasses both sides of the Arno River. This tour is available Monday – Saturday, it is not available on Sunday. Discover the Santa Croce neighbourhood beginning with the church that gives the neighbourhood (quartiere) its name. 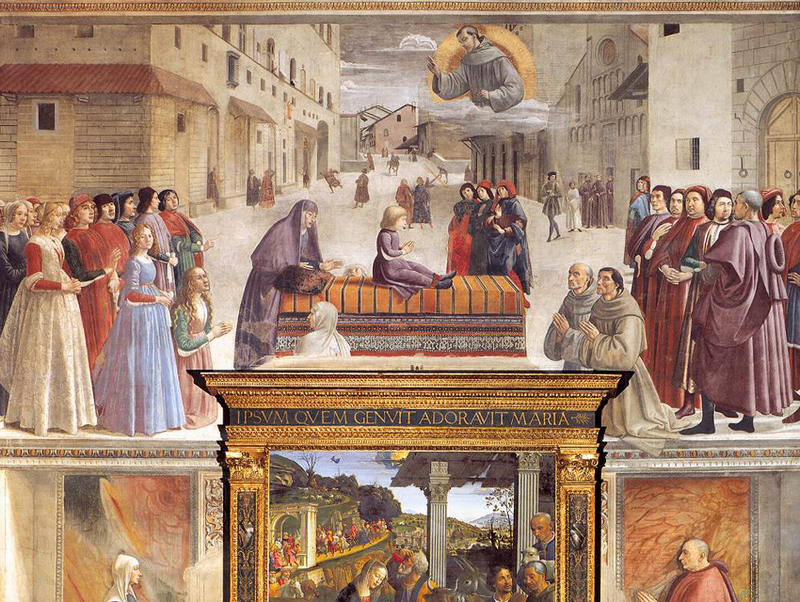 The huge Franciscan church dedicated to the holy cross is not only where the tombs of Galileo and Michelangelo are located, but is also home to masterpieces by Giotto and Brunelleschi, to name a few big guns. Afterwards, a walk through one of the favourite neighbourhoods in the city, where the ancient Romans had their entertainment, the merchant families of the renaissance built their palaces and the Florentines play their historical soccer. We finish with an aperitivo at a local wine bar for degustation. This tour is available Tuesday – Sunday, it is not available on Monday. The meeting place is in front of the Santa Trinita church in piazza Santa Trinita at 5pm. 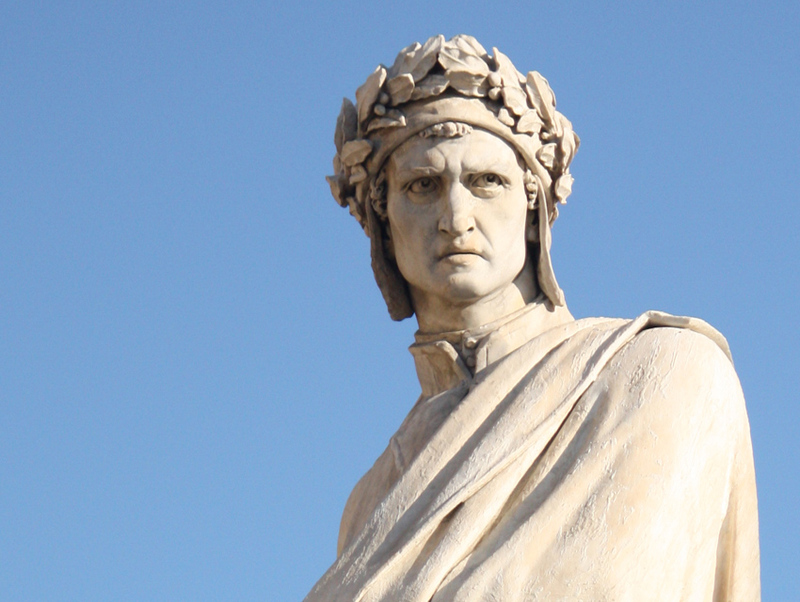 The meeting place is at the Dante statue in front of the Santa Croce church in piazza Santa Croce at 4pm. 180€ (for 1-5pax) + 15€ per person. 190€ (for 6-9pax) + 15€ per person. The above cost covers the tour and the winebar (a glass of wine per person and a delicious cheese/salami plate to share). 225€ (for 1-5pax) + 23€ per person. 237,50€ (for 6-9pax) + 23€ per person. The above cost covers the tour & entrance to the Santa Croce church & the winebar with a glass of wine per person and a delicious cheese/salami plate to share.